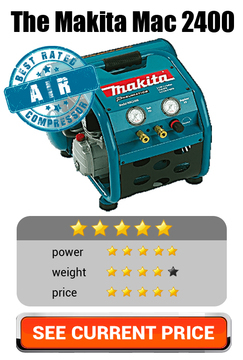 Not sure where to start looking for an air compressor? There are a large number of compressor types that can be found on the market today. 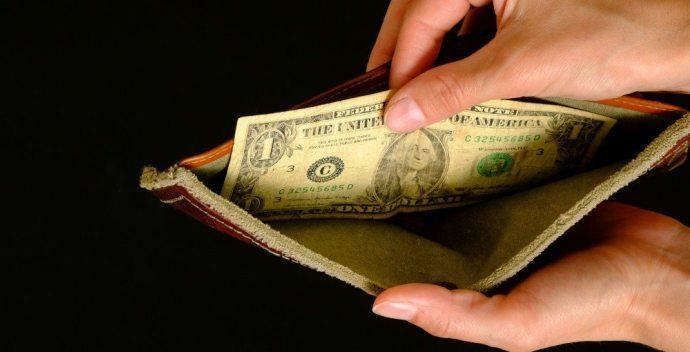 The key to avoiding a regrettable purchase is to know what the different types can offer you. Without sounding too geeky there are a few technical ideas that will help you choose the right air compressor to meet your needs without making an expensive purchasing mistake. 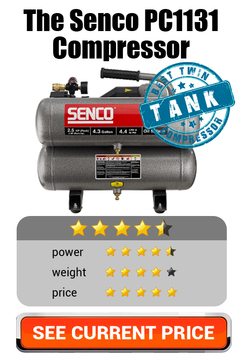 Tank Size - in the world of air compressors size really does matter! Tank size is a good guide to the amount of work a compressor can handle. Above three gallons, the motor gets time to cool down before refilling the tank but the main difference is the type of tools that you plan to work with. Brad and finish nailers are easier on your tank than grindstones and spray guns. A capacity of 2 – 6 gallons will work well for them but if you want to grind or spray (you little devil) you’re mixing with the big boys and you'll need more than six gallons. Performance Measures – contrast and compare your compressors with Standard Cubic Feet per Minute (SCFM) and Pounds per Square Inch (PSI). Taken together you’ve got the volts and amps of the air compressor world. SCFM gives you how much air and PSI is the pressure the air is delivered at. Again it’s all about what tools you plan to use. Smaller tools will need 0 – 5 SCFM with larger tools demanding up to 10 SCFM. Light weight compressors will deliver up to 90 PSI great for around the home or garden and in a home workshop but you’ll need more PSI if you want to run multiple tools on site so look for 100 – 150 PSI. 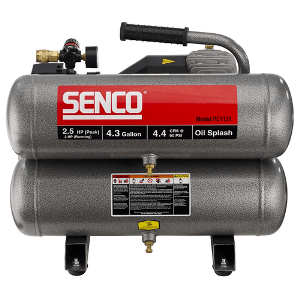 Oil Free or Oil Lubed – larger more powerful air compressors require oil to lubricate the pistons in the compressor. You get more air for your buck but you do need to have an eye for some routine maintenance procedures﻿. 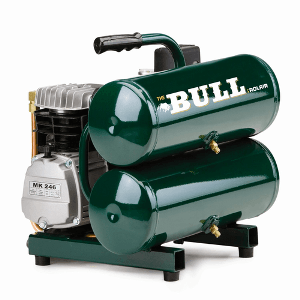 Oil free compressors are designed to not require oil so are easier to live with but won’t provide as much power. Your choice really but if you can get away with it, oil free seems like a good idea. Read on to find the best performing, yet inexpensive air compressors for every use. There’s nothing worse than getting caught short with low tyre pressure. If you drive an SUV or 4x4 you’ll probably be planning some off road action at some stage. When you leave the tarmac you’ll need to soften your tyres to get better grip but when you return to the tarmac what do you do? Caught on the road with a slow puncture? Then this is a tyre inflator to go to. It packs a hefty punch, up to 120 PSI which is more than enough even for reflating 4x4 or SUV tyres after an off road trip. It also includes a built in tyre gauge AND an automatic shut off feature for your safety. On the subject of safety, dealing with tyre issues roadside is less dangerous with this inflator as it comes with a very useful flashing hazard light. Measuring just 9.75″ x 4.38″ x 7.38″ it’s also compact enough to sit in your car unnoticed until needed. Perfect for those short of air moments, the Master Flow MF-1040 makes easy work of inflating a number of things from car tyres to air beds. It is designed with an easy to read gauge so no over inflation worries here. Made of steel rather than plastic it is a very sturdy device that will withstand the knocks and bumps of everyday life. It also makes things easy to reach. A combination of 10 feet of battery connector and a 16 foot coil hose means it is possible to get to most things that need a little air. 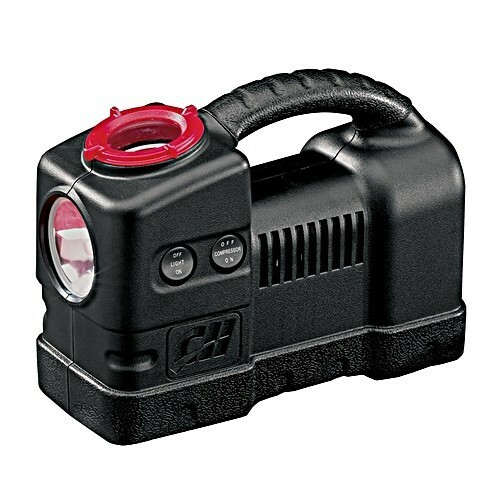 Stay one step ahead of those flats with this capable tyre inflator that’s easy peasy to use. Running of your car battery or the mains supply at home with the AC plug that is supplied means you can use it for a lot more than just dealing with flats. Three nozzle adapters mean it is also perfect for lots of domestic tasks such as inflating balls, air beds, beach toys, and pool accessories. If you do want to use it for inflating tyres in an emergency it is small enough to fit comfortable in the boot of your car. 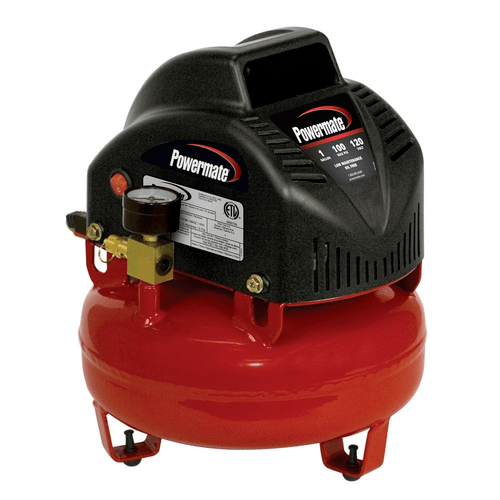 If portability is high on your list you should give this type of air compressor more than a second glance. The pancake air compressor is designed to meet your compressed air needs at home, in the workshop and on the construction site. First off, why “pancake”? It’s all about the shape of the tank used to store the compressed air. It’s shaped like a pancake isn’t it? The motor is often built on top of the tank which means a small footprint so it’s easily stored. For a maintenance free life expect an oil free electric motor to drive the pump. All well and good but bear in mind that this type of air compressor will not store vast quantities of air, and won’t store that air at particularly high pressure. Having said that, for tyres and other inflation tasks and nailing and similar construction activities this type of compressor will do just fine so here are three to be proud of. 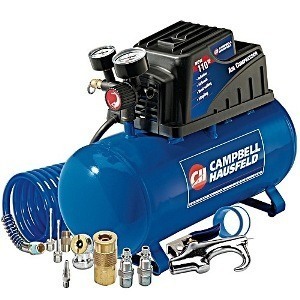 Perfect for Do It Yourself projects this compressor weighs in at a lightweight 19 pounds so it’s easy to carry around your home wherever you need it. As light as it is, it’s also compact so you can store it away easily when it’s not being used. Oil free running means you don’t need to worry about maintenance routines; just plug in and go! Day to day use of the compressor easy with clear gauges that tell you about the air in the tanks and there is also a neat little cut out switch so you never need to worry about the tank becoming over pressurised. 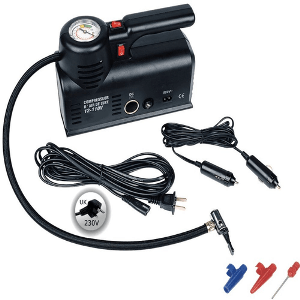 Around the house, the garage, garden or even home workshop the Porter-Cable PCFP02003 has exactly what you need to take care of inflation tasks as well as your favourite DIY ones. It’s easy to operate and has clear gauges to keep you up-to-date with what’s going on in the tank world. Fix two air devices at once to the outlet and even then the 1 HP motor will keep the 3.5 gallon tank filled as it can operate at 2 CFM at 90 PSI or up to 135 PSI. This air compressor has users in mind all the way. It has a centralized carrying handle and the motor is covered with a plastic screen to protect the motor when it is running. An easily read gauge tells you how much air is available at any one time. Lightweight (only 14.2 pounds) it measures just 13 x 12 x 14.5 inches. 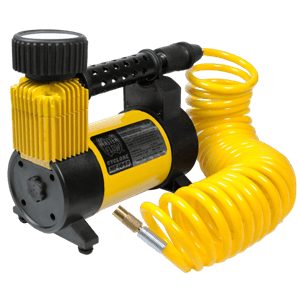 The 25 foot recoil hose comes with an accessory kit that includes an inflation needle, a ball valve connector mattress inflation nozzles as well as other air tool connectors so if you’re looking for a great all-rounder on a tight budget this compressor will do just fine. 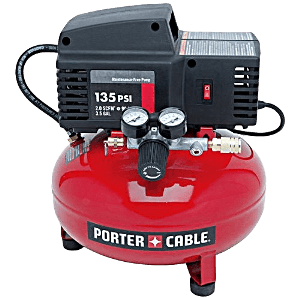 Not being satisfied with emergency tyre inflation alone, if you are looking to drive a range of power tools from your air compressor you will certainly need a compressor that can deliver more than 4 cubic feet per minute (CFM). CFM is the rate at which a compressor outputs air into the fill tank. The higher the rate, the quicker a tank will refill. So, if you are planning to drive a number of tools such as nailers or finishers, or more demanding tools such as sprayers and grindstones then you’ll need a machine with more than 4 CFM rating for deffo. Just remember though, air pressure from compressor is measured in CFM and PSI – a bit like volts and amps for electricity. Most air compressors deliver air at 90 PSI but you do need to check both ratings. Whatever the ratings, you will also need to match the demands of any tools being used to the capabilities a compressor so research your tools and each models ratings carefully. Start by considering these three. 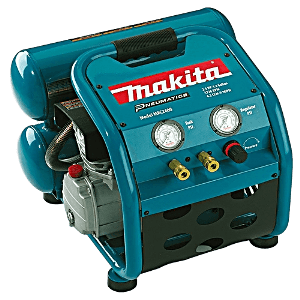 At the top end of the domestic range, the Makita MAC2400 Big Bore 2.5 HP is a quiet, durable, and efficient air compressor. First-off there’s the “big bore”. It’s important because the larger bore size on the motor means that the twin up and down tanks will refill very quickly. So, if you plan to use air powered tools that are at the top end of this machines capability, “big bore” means less time spent waiting for tanks to refill. In terms of capabilities, working at 4.2 CFM and 90 PSI or 4.8 CFM and 40 PSI this compressor is more than a match for two nailers at once. If durability and affordability collide on your requirements list then think carefully about the Senco PC1131 Compressor. Rubber carry handle, rubber mounted feet and a rugged paint really do show this machine is going to be at home on the construction site or at home. The twin tanks, stacked one above the other scream capacity and the 2.5 horsepaower motor will ensure that tanks are filled and kept at capacity in no time. The 60 pound weight might be a problem for some but it does mean you can expect it to be fully stable when it is in use. With a full 2 HP of motor power expect ratings to turn your head. Yes we have 4.1 CFM at 90 PSI – nothing to sniff at, but the real eye catcher ids the 100% duty cycle. The twin tanks, top to bottom mounted need a lot of air to keep them filled and this machine delivers a 100% duty cycle, in other words it can pump continuously, there’s no need for the motor it to cool down between fillings. With all that power It also comes with overload protection, too much air being drawn and it will cut out so no need to worry about burn out – just manually reset and you’re good to go.